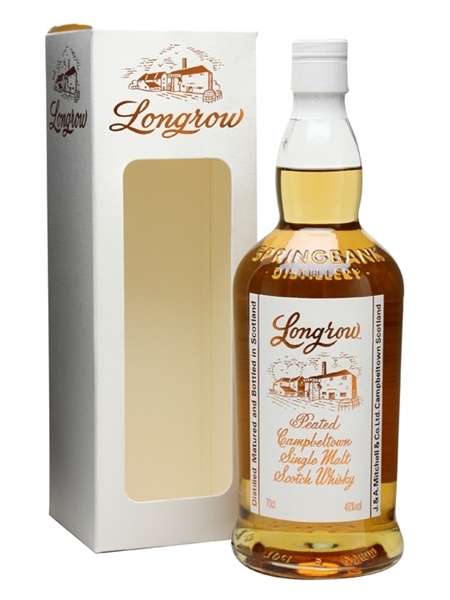 Longrow (~€48) is Springbank's peated range. This double distilled whiskey has no age statement. It contains 7-12 year old whiskeys and is matured in a mixture of bourbon and refill sherry casks. Longrow is bottled at 46% ABV.